How simulated galaxies could bring us one step closer to the origin of our universe. Thanks to telescopes like the Hubble and spacecrafts like Kepler, we know more than ever about the Milky Way Galaxy and what lies beyond. However, these observations only tell part of the story. How did our incomprehensively vast universe come to be? What’s it going to look like millions of years from now? These age-old questions are now getting answers thanks to simulations created by supercomputers. One of these supercomputers is a Cray XC50, nicknamed ATERUI II and located at the National Astronomical Observatory in Japan (NAOJ). It is the fastest supercomputer dedicated to astronomy and is ranked #83 of the top 500 most powerful supercomputers in the world. Named after a prominent 9th century chief, the ATERUI II is located in the same city where Aterui led his tribe in a battle against Emperor Kanmu. Despite the odds, Aterui and his people fought well. Since then, Aterui has become a symbol of intelligence, bravery, and unification. 100 billion. ATERUI II is able to calculate the mutual gravitational interactions between each of the more than 100 billion stars that make up our galaxy, allowing for the most detailed Milky Way simulation yet. Courtesy National Astronomical Observatory of Japan. “We named the supercomputer after him so that our astronomers can be brave and smart. While we are not the fastest in the world, we hope the ATERUI II can be used in a smart way to help unify us so we can better understand the universe,” says Eiichiro Kokubo, project director of the Center for Computational Astrophysics at NAOJ. ATERUI II was officially launched last June and serves as a bigger and better version of its decommissioned predecessor, ATERUI. With more than 40,000 processing cores and 385 Terabytes of memory, ATERUI II can perform as many as 3 quadrillion operations per second. In other words: it’s an incredibly powerful machine that is allowing us to boldly go where no one has ever gone before, from the Big Bang to the death of a star. It’s also exceedingly popular with researchers—150 astronomers are slated to use the supercomputer by the end of the year. ATERUI II’s unique power means it is capable of solving problems deemed too difficult for other supercomputers. For example, an attempt to simulate the Milky Way on a different machine meant researchers had to group the stars together in order to calculate their gravitational interactions. ATERUI II doesn’t have that problem. It’s able to calculate the mutual gravitational interactions between each of the more than 100 billion stars that make up our galaxy individually, allowing for the most detailed Milky Way Galaxy simulation yet. 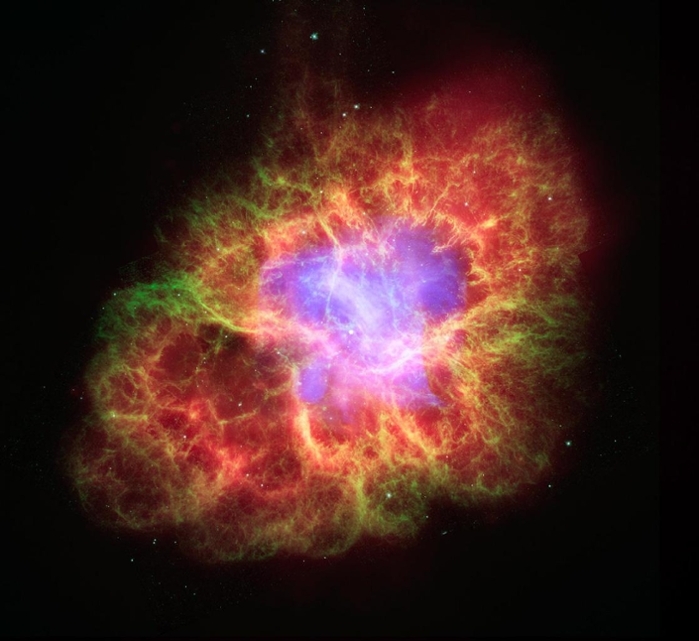 The death of a star a thousand years ago left behind a superdense neutron star that expels extremely high-energy particles. By simulating events like these, ATERUI II gives astronomer’s insights that can’t be discovered through observation alone. Courtesy NASA/JPL-Caltech/ESA/CXC/Univ. of Ariz./Univ. of Szeged. While computational astronomy is a fairly young field, we need it in order to understand the universe beyond just observing celestial bodies. With its superior computational power, Kokubo says there are plans for ATERUI II to simulate everything from Saturn’s rings through a binary star formation to the large scale structure of the universe. 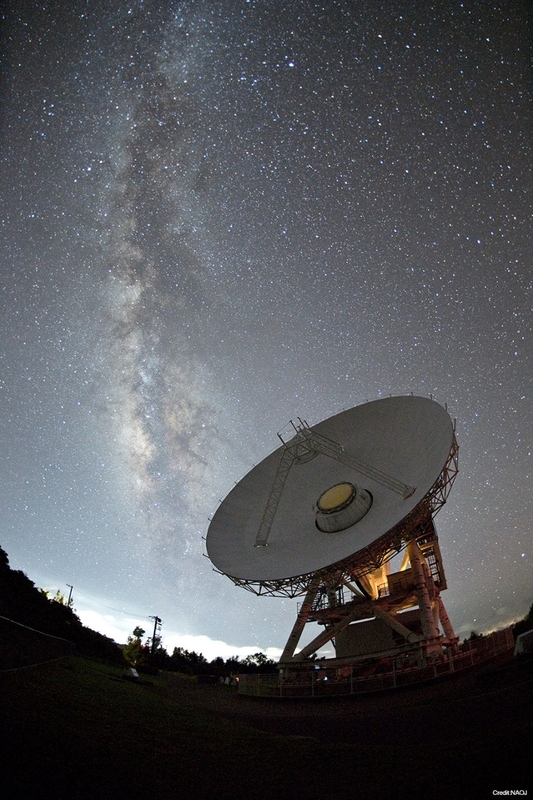 ATERUI II isn’t only working on ways to better understand the stars and planets that make up the universe, it is also being used to explore the possibility of alien life. This starts with life on Earth. Kokubo isn’t alone. The mystery of how we came to be and what it all means has fascinated mankind for centuries. Our unknown origins have been explored in great pieces of art and literature throughout history and are at the core of every religion. Now, thanks to ATERUI II, we are one step closer to getting our answer.